Tuesday afternoon, I was in a training for my work on trauma-informed care when the earthquake that rocked much of the East coast struck. We had just finished a warm up ice breaker activity when I heard my supervisor shout, “Everybody outside!” Then came the gasps and shouts of surprise. I hesitated for a moment wondering if this was yet another ice breaker activity but when I felt the ground shaking and saw our office building shaking violently, I knew we were experiencing an earthquake. The metallic roof made a sickening creaking sound and we made a somewhat orderly beeline toward the exit doors. While outside, the shaking continued for few a little longer. People were trying to call their loved ones but with the phone lines jammed no one could get through. I was trying tweet the experience from my phone and after a few connection timeouts, I was able to post my tweets. Some of my colleagues were quite shaken up and immediately left to go home. Others waited to return to the training but it was re-scheduled for another day. I set out for home and there was an unusual amount of traffic on the road. 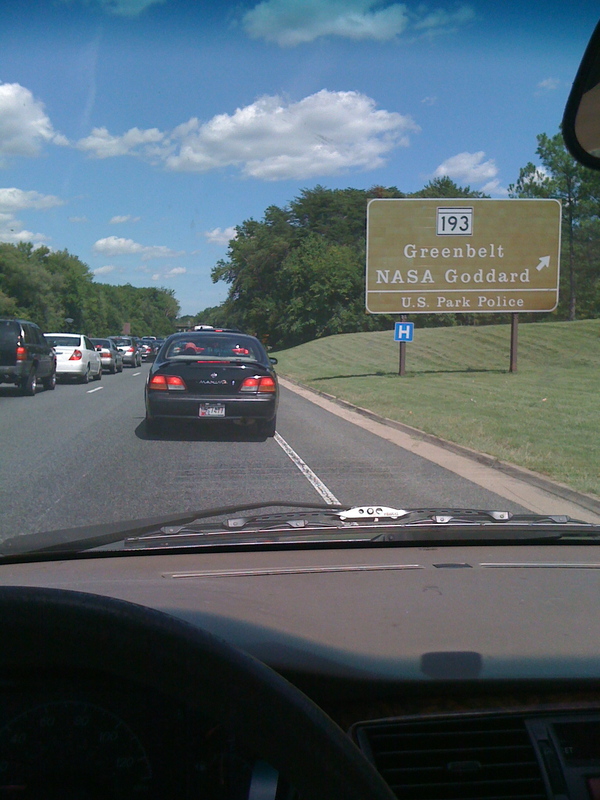 Seeing the traffic, so common to the DC area, was comforting. Feeling more distressed than before I turned off the radio and turned on one of my Quran mix CDs. I recited aloud with Tawfeeq As-Sayegh even though my windows were down and traffic had on some parts of the beltway and BW parkway slowed to a crawl. At other times, I might lower the volume and recite more quietly but that day I thought about how fleeting life can be and were I pass away I’d rather be engaged in an act of worship reciting the Quran than in mindlessly listening to radio news. And while the traffic was comforting, it was also very nice to arrive quickly at my exit so I could leave the traffic behind. 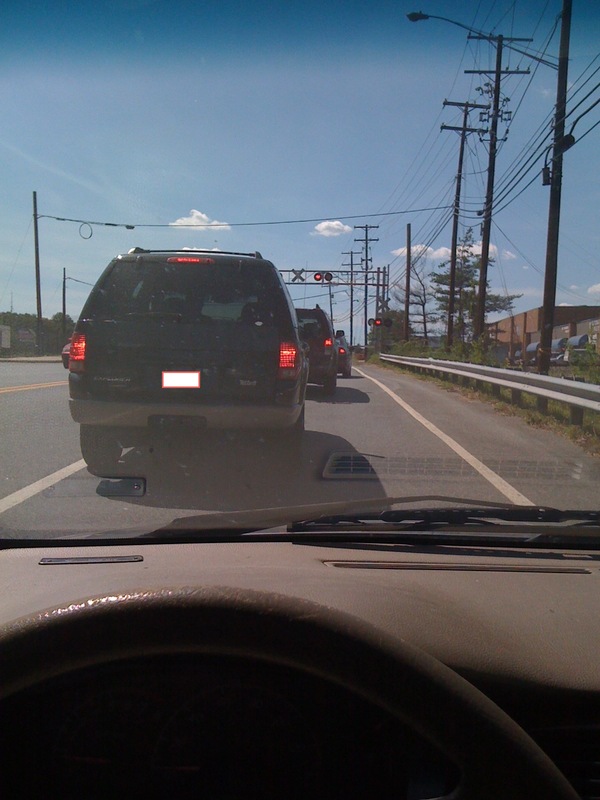 As I neared home, I approached a railroad crossing that had the gates down and the red lights flashing. But no train appeared to be coming so the cars were cautiously dashing through a few at a time. When my turn came, I looked both ways and also made a dash for it. Each year the month of Ramadan helps remind us of what’s important in life as we increase in acts of worship, give in charity, and train ourselves to be disciplined in doing good and abstaining from our selfish desires. I’m humbled by witnessing natural disasters and other calamities, they give me pause and are a cause for reflection. In a world with so many possible distractions, a moment’s reflection is a precious gift, far too few of us are blessed with. Jazakillahu khair for sharing your experience. Ironically, this year during Ramadan, I too felt tremors of the 5.7-magnitude earthquake that hit Balochistan, Pakistan in the first hour of the fast on 10th August 2011. I was reciting Quran as I felt the ground shake, and it took me a few seconds to realize that it was an earthquake and not my imagination. Earthquakes during Ramadan…..something for us to think about, eh? May Allah make us die in a state in which He is pleased with us. Ameen. Wa iyyaki Sadzy, ameen to your dua, thanks for stopping by. It’s so humbling, I tweeted something about providential care being comforting especially when witnessing the power of these natural signs. We realize our own insignificance. Hurricane Irene is stopping by for a visit this weekend. Ramadan kareem and Eid Mubarak, insha’Allah! That’s what they do. Most of the news outlets are in the business of scaring the bejabbers out of you or pandering to biases. Thanks, yes, this is why I’m a recovering news junkie. Although, there is some good news out there, just harder to find amongst the more bombastic voices. I’ve always preferred international news outlets for news that is more than just infotainment, BBC, DW, and CNNI. Large newspapers still have a lot of good reporting within them. One thing I avoid for the most part are gruesome images because I don’t feel it benefits me.